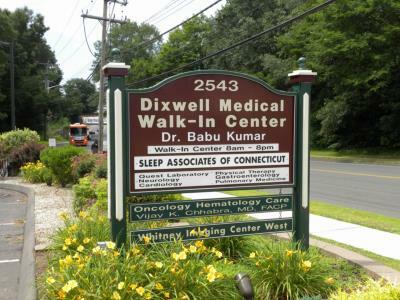 We are located in the Dixwell Medical Walk-In Center. Entrance is on the East side of Dixwell Avenue. Take Exit 62. Right on Whitney Avenue. 2nd Left onto Dixwell Avenue (CT-10). Sleep Associates on the left. Sleep Associates on the right. Take Exit 10. Merge onto CT-40/Mt. Carmel Connector. Take Exit 1 to Dixwell Avenue/Hamden. Right on Devine Street. 1st Right onto State Street. 1st Right onto Dixwell Avenue (CT-10). 1.9 Miles to Sleep Associates on left.